We’re sitting there, after all the presents have been opened, looking at all the paper. What can we do with this mess? Make some origami? Et voilà! Origami Wrap was born. 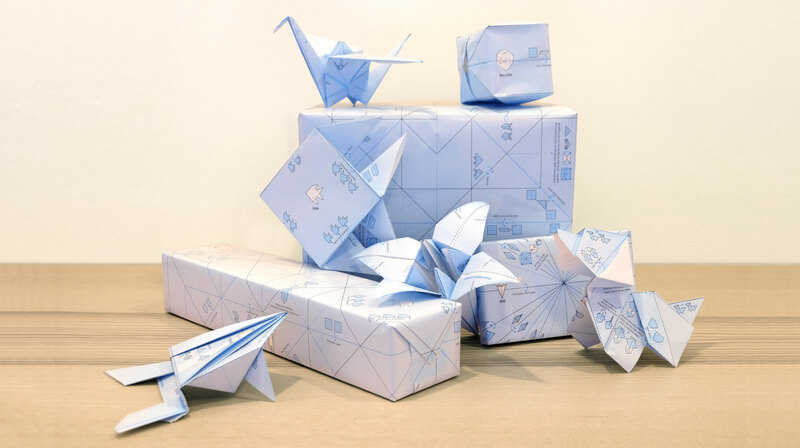 Origami Wrap gives a second life to wrapping paper. Just tear or cut along the dotted lines, and follow the numbered instructions to make a Crane, Dog, Iris, Frog, Balloon, or Fish! 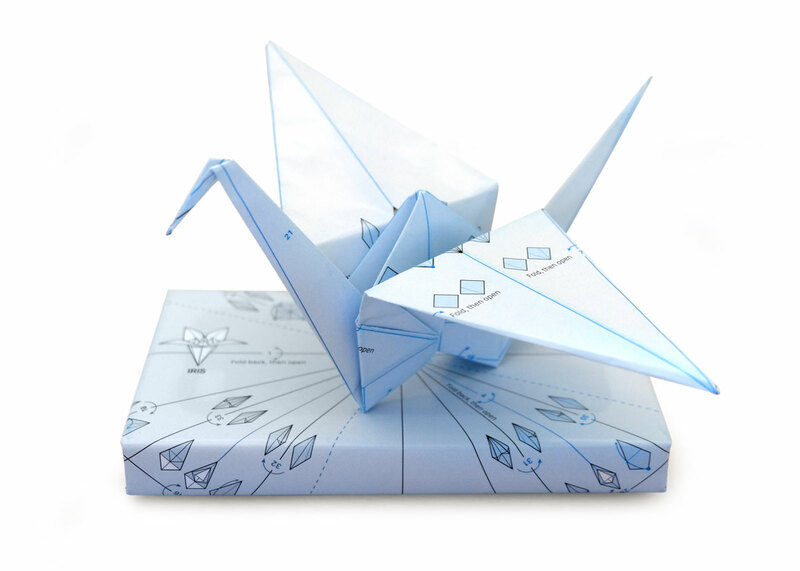 Origami Wrap comes in a pack of five 20″x30″ sheets.